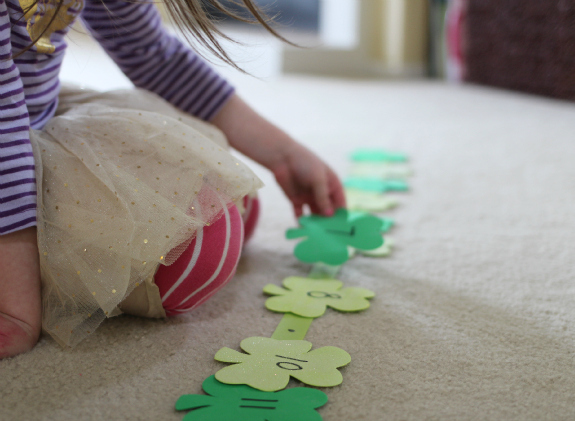 This number line scavenger hunt activity took only minutes to throw together and while we used shamrocks for a St.Patrick’s Day theme you could do this any time of year with any theme your child likes. If they are still learning number order write the numbers on the tape and have them match the numbers if 20 is too much try with 5, 10 or 15. 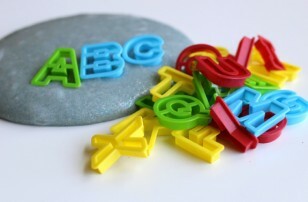 This is such an easy activity to adjust to your child’s ability and to repeat over and over. 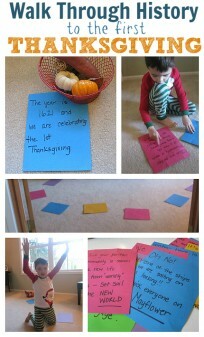 This would be a fun group activity as well, have each child search for one number and place it on the line. 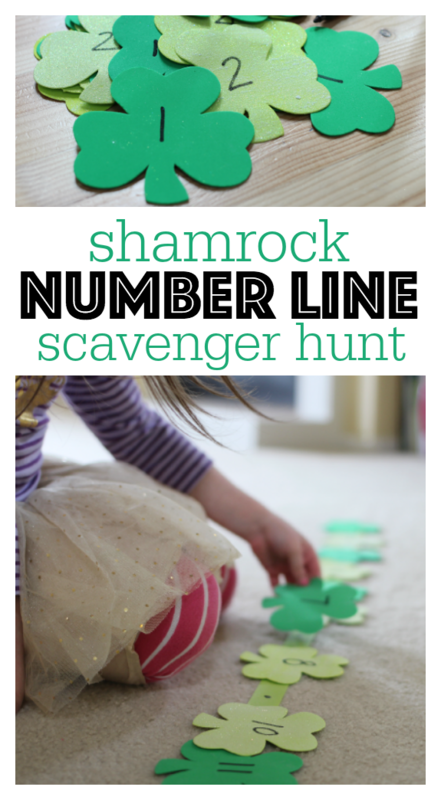 Gather your materials to prepare to set up your number line scavenger hunt. 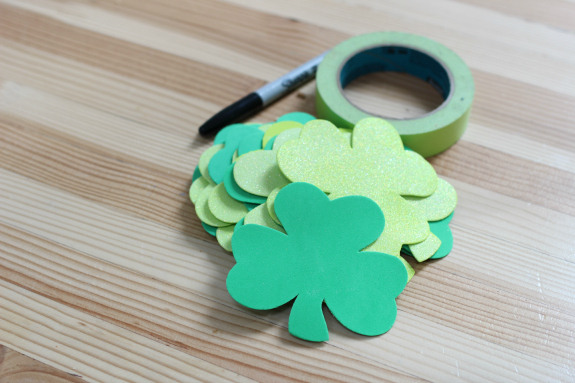 You will need something to write numbers on like foam shamrocks, shapes, or post-it notes. 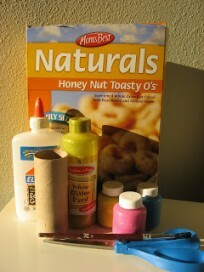 You will also need some painter’s tape and a marker. 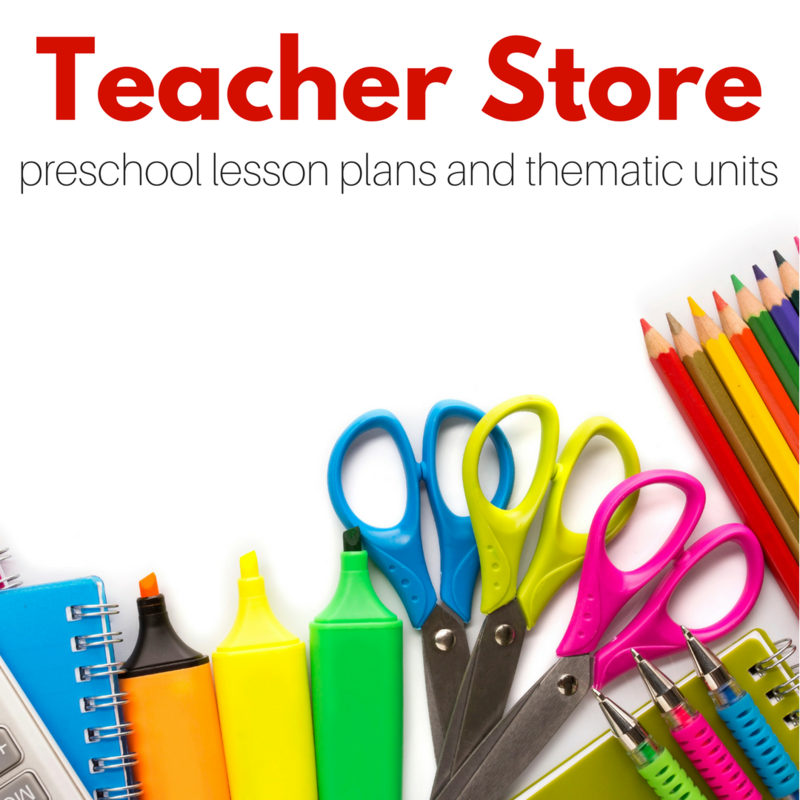 Start by writing your numbers on the shapes. 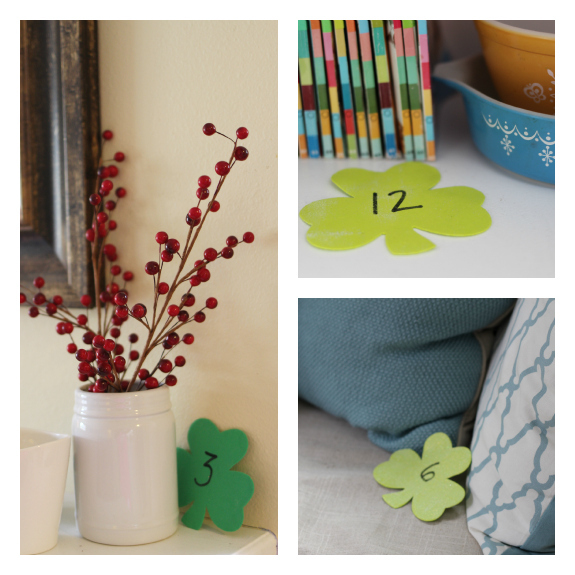 Next, lay out the tape and write the first and the last number, for us that was 1 and 20. 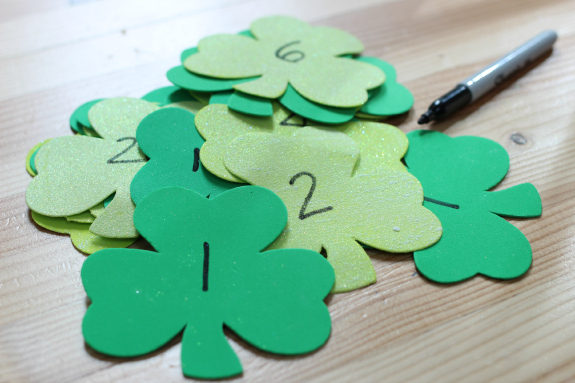 Make dots of writing the numbers in between. 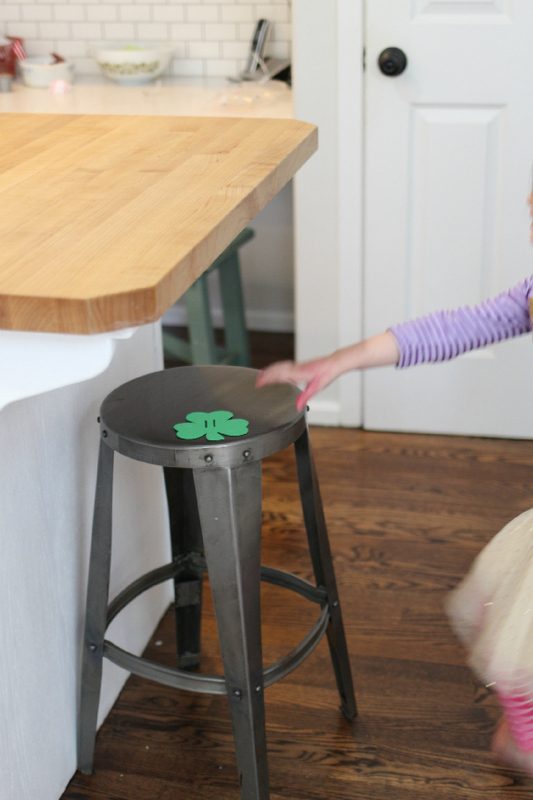 Hide the numbers all around your house! 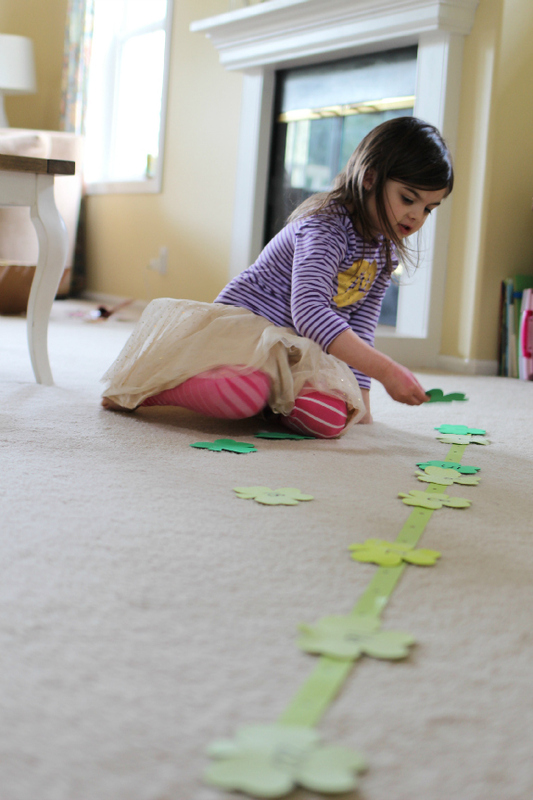 Invite your little mathematician to search for the numbers and place them on the line. 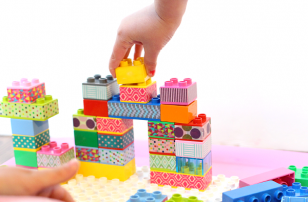 Give them a hand if needed but also give them time to figure it out on their own best they can before you step in. 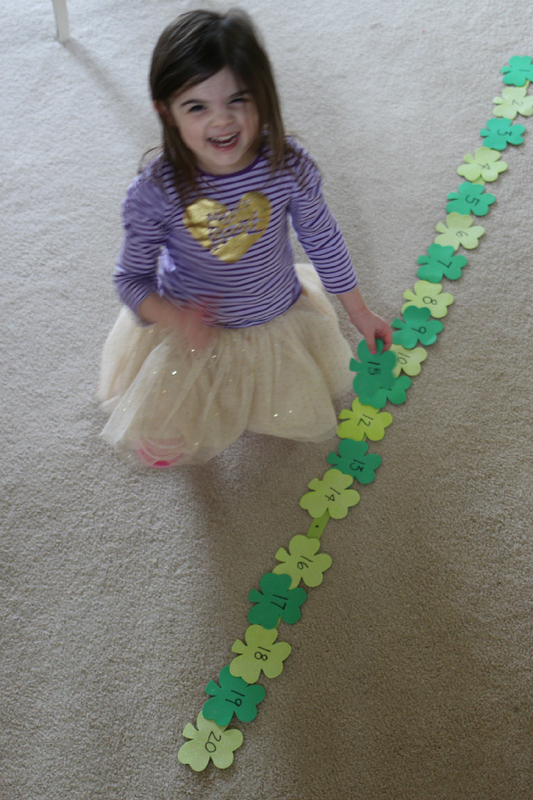 She searched for a handful of shamrocks then placed them on the number line and then went back for more. 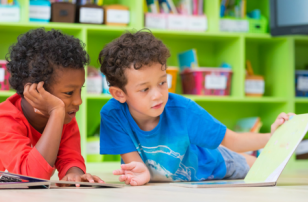 I never get bored of watching my children or my students make great connections. 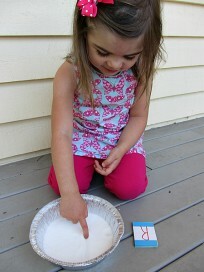 I was wowed watching my youngest find the right spots of all these numbers without any help. 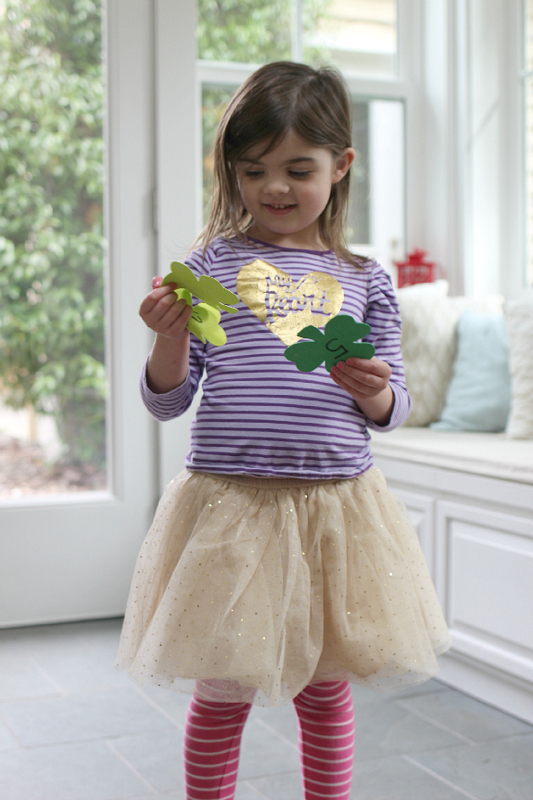 She thought she had found them all but there were a few missing. A quick trip into the kitchen and she popped them right on the line! All done and pretty darn proud! 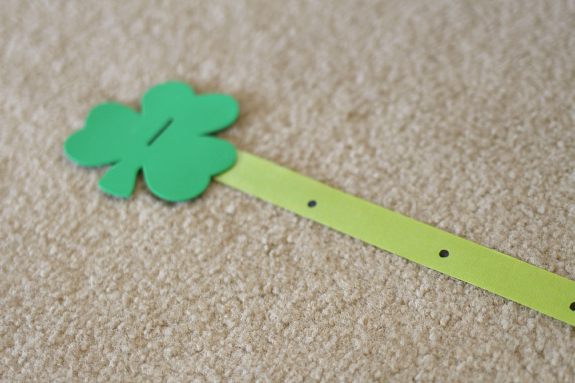 For more fun St. Patrick’s Day activities, make sure to follow me on Facebook!